A new review we received today but from one of our shoppers this time. Thanks so much, not just for the review but for taking the time to order from us even though we’re located miles apart. Chocolate and Pink – Our Favourite Things! As if we’ve not been spoiled enough already! What a beautiful card and gift from little Zoe and her friends. 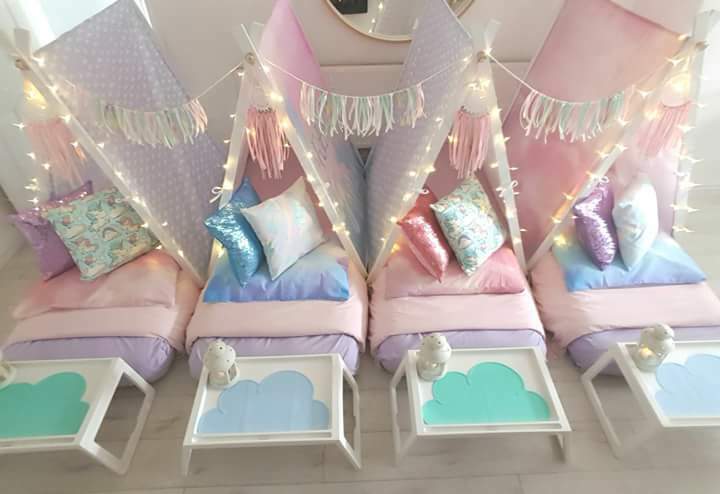 Zoe celebrated her 8th birthday with our Unicorn Dreams themed teepees and has already decided she wants us again for her 9th birthday!! Mmmm, these won’t last two minutes in our house…. We were really overwhelmed with our card and gift from our first ever little client Scarlett. It was her 9th birthday and as part of our pre-launch testing we arranged a surprise indoor glamping night for Scarlett and her friends. If you’d like to see how this went down with Scarlet and her initial reaction, then we have some footage a in our “Reaction Videos” section. And our First Ever Review too….